The purpose of Kairos is to establish strong Christian communities among the population of correctional institutions, supporting fully the Restorative Justice Programme, Unit Management Programme, and other rehabilitation programmes in our institutions. This is done through the development of small share and prayer groups of inmates/residents in the institutions. Speak to Neville Martin if you would like to get involved. For the past several years we have assisted farm workers living on a farm just off the R44. There are 15 cottages with around 10-15 family members per cottage. Every Easter, Winter, Spring and Christmas we make an effort to bless them in practical ways. The families appreciate our involvement and with generous sponsorship from numerous companies and individuals we have been able to uplift the lives of many. When we have abundance we are able to supply to those in need who live under the railway bridge and other hard to reach places. After several years of involvement we now run the shelter with church members serving as committee members of this NPO which is in it’s 25th year of running. The amount of work, organisation and effort that goes into running a shelter is incredible and at times overwhelming. We have persevered as we know God has called us to do this. Our vision is to give hope and dignity to the homeless. We are busy setting up a skill development centre which will empower people. We value the elderly and appreciate all that they have done throughout their lives. During our planned visits we bless them with tea time treats, magazines, ministry and good conversation. Keep on eye on church news and emails for our next visit. Services 2 local state hospitals in South Africa providing nappy bags with clothing, blankets and products for the newborn as well as hygiene products for the mother. They personally & prayerfully deliver the bags to each mom and spend one-on-one time with each baby and mother. By doing this Bosom Buddies ensures that no baby goes home without being adequately clothed and each mom feels that their community cares and the birth is recognized and celebrated. Mothers of premature infants, who need to stay for a prolonged time, have access to free tea & coffee supplies as well as a few food basics. Bosom Buddies also provide a skills development workshop where moms are taught to sew. Informative antenatal classes are run and have proven to provide great support to many new and ‘old’ moms. Offers shelter for abused, abandoned, HIV-positive, orphaned and terminally ill children from birth to twelve years of age. Cotlands is a national organization and our local branch is on the old Paardevlei Road at the Interchange. Life Foundation supports Cotlands with donations. It has been a dream of ours to open a pre-school for farm workers children. Op Die Plaas is a place where precious little ones are looked after, cared for, fed and receive quality education in a safe environment. Our heart is to serve the community, and give their children the best start to life. We have started with renovating the building. We are still looking for donation of paint to clean up the outside. Gutters will need to be put in place as there are none. Security is another need, we are hoping to install an alarm system as soon as finances are in place. Initially we will cater for 10 – 30 children, aged from 3 – 5 years with one qualified Teacher and two ladies from the local community (an assistant and a cleaner). We perceive the need to cater for up to 60 children being probable within 2 – 3 years. Bags with dry grocery ingredients which cater for a family of four and provide 5 meals are packed and processed via the church office. Each bag is supplied with suggested recipe meal options, which are delicious. We alternate the packs with different combinations and fresh ingredients can be added to the recipes. Many families are struggling and we do not want to overlook them. Providing support in a practical way is essential. These bags are also used to bless those who randomly make appeals to the church staff for support or if you know of others in need kindly contact the office. Has perfected the assembly process of a meal in a bag that combines rice, soy, dehydrated vegetables and a flavoring mix including 21 essential vitamins and minerals into small meal packets. Each bag costs only R15 and feeds a family of 6. The food stores easily, has a shelf-life of five months. The SW Night Shelter uses these packs for our voucher system, which assists the homeless. We welcome clothing donations in good condition, which have been washed, ironed and folded neatly. We aim to restore dignity and will not give away broken or dirty clothing. Donations can be dropped off during the week at the church office or brought on a Sunday and dropped into the basket at the Info Desk. 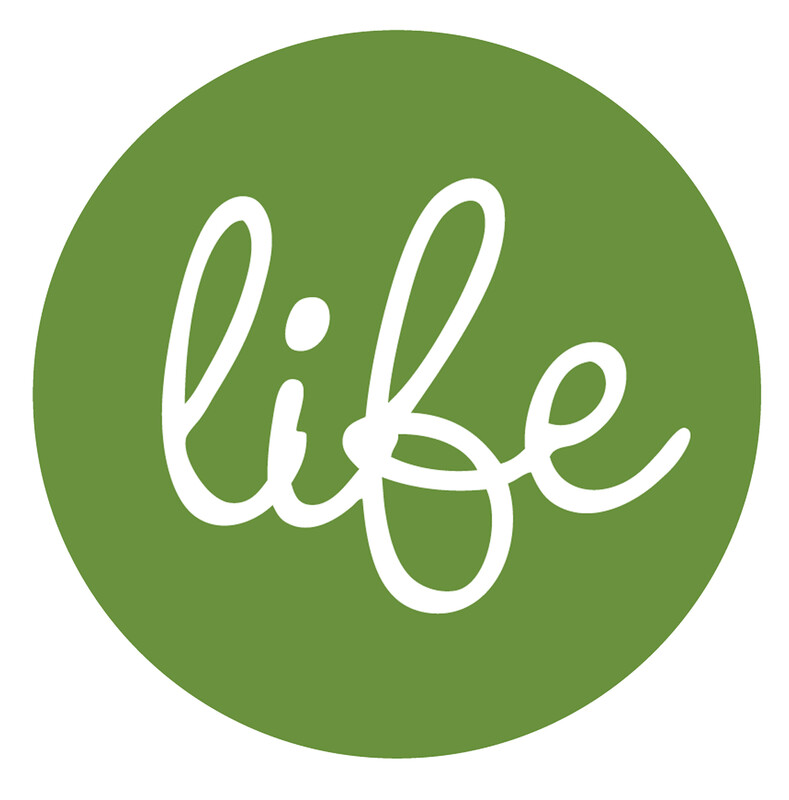 All our community projects and acts of social justice are grouped under the Life Foundation. If you would like to get involved, simply indicate on a Connect Card.